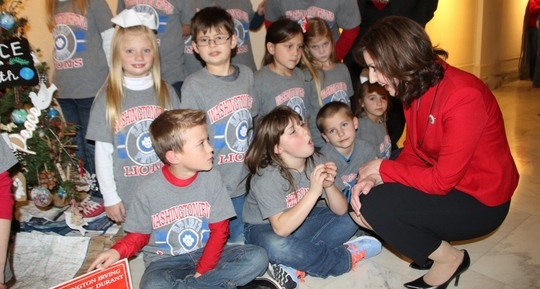 State Superintendent of Public Instruction Joy Hofmeister visits with children during the Governor's Christmas Tree Lighting Ceremony at the Capitol. Students from Washington Irving Elementary School in Durant joined approximately 700 children to decorate miniature trees inside the Capitol on Nov. 29. To see the photo gallery, click here. 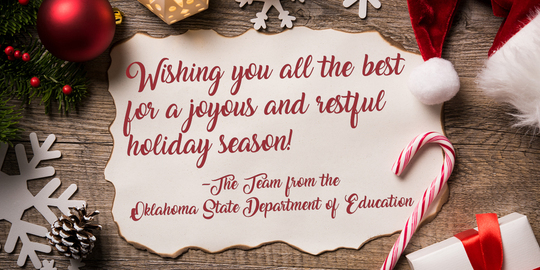 Because of you, every school day is like Christmas for your children in your classrooms. Regardless of their situations at home, when they arrive in that welcome space, they know at least one person is there for them. You provide a safe place where they are encouraged to grow, where their opinions matter and where they are unconditionally accepted. At the Governor’s Christmas Tree Lighting ceremony at the Capitol, approximately 700 schoolchildren decorated small trees with their classes. I was honored to shake hands with some of you. I saw children proud of their work, proud of their schools and proud to stand with their teachers. Your service encapsulates the very spirit of this selfless season. The gifts you provide are boundless: patience, understanding, dedication. You are making memories for your children that they will carry for the rest of their lives. The foundation that you help them build will shape our state for generations. You truly inspire me, and I am honored to serve along with you. Blessings to you and your family! 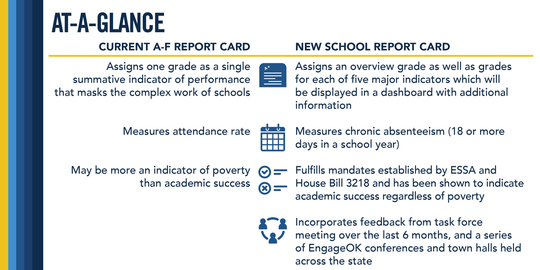 The State Board of Education yesterday voted to approve a new assessment and accountability system, including an improved method of calculating school report cards. These changes will take effect next school year. The new system now goes to the Legislature, then the governor for approval. The new calculation would replace the current A-F Report Cards. The new system gives equal weight to student performance in English language arts (ELA) and mathematics as well as student growth in these subjects, but the calculation will no longer be weighted overwhelmingly on test scores. Other indicators include English language proficiency assessment (ELPA) progress, graduation rate, postsecondary opportunities and chronic absenteeism, which is defined as missing at least 10 percent of the school year. The new system fixes many of the shortcomings of the current system, which tended to be more of an indicator of poverty than academic success. For example, the current system may count a low-performing student multiple times if he or she is in multiple subgroups. The new system would only count each student once. Another key difference in the calculation is that student growth is measured across the full spectrum of performance rather than only when a student jumps from one performance band to another. Schools are thus awarded points based on every student’s achievement. To view the complete assessment and accountability recommendations, click here. To view a comparison of the two systems, see the charts below or click here to download them. 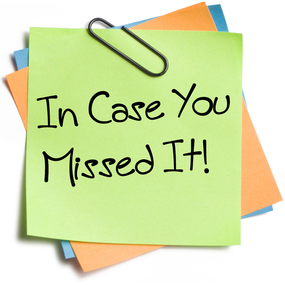 Draft One of Oklahoma’s Every Student Succeeds Act (ESSA) is now online, and we’re anxious to hear your thoughts. The first draft includes many ideas we heard at our EngageOK on the Road professional development conferences this summer, at our series of town halls that toured across the state this fall, in Supt. Hofmeister’s 13 advisory councils and in surveys in both English and Spanish sent to stakeholders and available on our website. Your continued feedback is key to producing a final product that is robust and reflective of Oklahoma values. To see Draft One of the plan, click here. Yesterday the State Board of Education approved additional emergency teaching certifications, bringing the record-breaking total to 1,082 so far for the school year. This six-month total surpasses the number of emergency certifications from the entire 2015-2016 school year. As part of our continuing efforts to fight a statewide teacher shortage, the final report from our Teacher Shortage Task Force was made available this week, highlighting 27 recommendations to increase the recruiting and retaining of teachers in Oklahoma. The task force met from September 2015 to June 2016, and some of its recommendations have resulted in laws that were passed last legislative session. Recommendations include allowing retired teachers to return to serve as mentors, easing requirements for certified teachers from other states to become certified in Oklahoma, expanding opportunities for adjunct teachers and exploring ways to make the certification process more cost effective. To see the full report, click here. The signs of the season are everywhere you look. With such undeniable icons available, who wouldn’t want to use them as manipulatives in hands-on math lessons? Throughout our elementary Oklahoma Academic Standards for Mathematics, patterns are the anchor of the Algebraic Reasoning and Algebra strands. Patterns, or things that are arranged following a rule, can be described in two different ways: Repeating patterns are abundant throughout nature because of their eye-catching simplicity, and they can easily be created by repeating decorative designs, shapes or numbers. Growing patterns are more of a mystery because they grow in a structured manner from one element to the next. 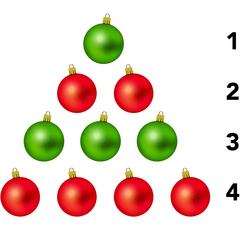 Think of a Christmas tree that has been simply created from circles. This represents an uncomplicated example of a growing pattern that is arranged following a specific rule. Elementary students need time to explore and develop visual representations of growing geometric patterns, and Christmastime lends so nicely to visually appealing shapes that correlate with the season. Dive deeper into the new Oklahoma Academic Standards in Math with the newly released OKMath Frameworks, developed by 36 educators across the state. The frameworks analyze each math objective by grade level and place them into suggested learning progressions. Sample units come complete with individual, partner and group activities to give your students hands-on learning opportunities. To download the OKMath Frameworks, click here. The 100th day of school is coming. Celebrate counting creatively with suggestions from our Ag in the Classroom educators! Turn yawns into smiles by asking your students to count sheep. Use popcorn as manipulatives. Learn about the different methods pre-Industrial Revolution shepherds used to count their herds. Liven up 1-10 by introducing your kids to Celtic counting words. Get a list of fun books to read about sheep, and learn words like “yearling,” “skein,” “warp,” “weft,” “shuttle” and “treadles” from context. January is Wheat Bread Month. 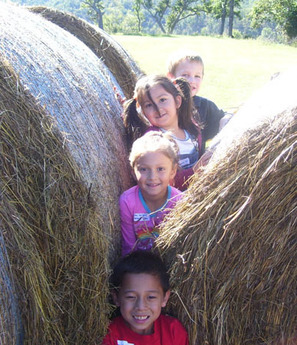 Students can explore the concept of hundreds, while learning about hay and its connection to humans and animals. Read the story “A Hundred Bales of Hay” together. Count Wheat Chex. Compare Claude Monet’s series of paintings of haystacks. Why did he paint the same scene over and over again? How are the paintings different? How are they the same? Or follow Ag in the Classroom’s recipe for Bread in a Bag. Students measure ingredients into plastic ziptop bags and bake their own individual loaves of bread. For these ideas and more cross-curricular lessons, go to Ag in the Classroom’s January page by clicking here. During the holidays, families come together and celebrate with each other. However, circumstances are different for a child with an incarcerated parent. December is Children of Hope Awareness Month, recognizing these innocent children who need your help. In Oklahoma, 25,000 children currently have an incarcerated parent, and 96,000 children have experienced parental incarceration. Statistics show that children with an incarcerated parent have an increased risk of experiencing developmental issues and problems in school. The number-one deterrent to incarceration is education and literacy. 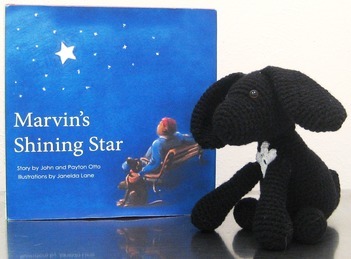 Last spring, the book Marvin’s Shining Star was donated to every public elementary and middle school library in Oklahoma along with a doll of the dog Star, crocheted by women from the Mabel Bassett Correctional Center in McCloud. Marvin’s Shining Star is an inspirational true story set in Oklahoma about an incarcerated man who trains a heroic dog. To encourage hope and help break the cycle of generational incarceration, consider sharing Marvin’s Shining Star with your students. As you read this book to a student with an incarcerated parent, allow the child to hold a stuffed animal to help the child open up and connect with the message of hope of this story. Marvin’s Shining Star was written by Norman veterinarian John Otto and his son Payton. To read a news article about the book, click here. To request an author visit, email Dr. Otto. 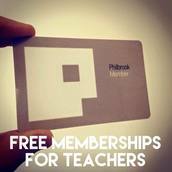 FREE MEMBERSHIPS: The Philbrook Museum of Art in Tulsa is offering free memberships for all PreK-12 Oklahoma public school teachers! Stop by the museum with your school ID card or a pay stub. To visit the Philbrook website, click here. USDE WANTS YOU: The U.S. Department of Education needs rural teachers to contribute to the national dialogue about education. The USDE’s goal is to create a cadre of outstanding educators to inform the program and policy work of the Department. The program is for outstanding teachers, principals and other school leaders, like school counselors, with preference to those who are National Board Certified, have advanced degrees, have demonstrated leadership, or have made a major impact in their rural school. Deadline to apply is Jan. 23. For more information and an application, click here. 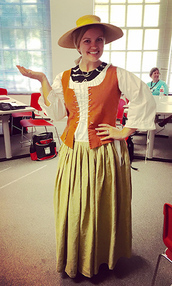 GO OLD SCHOOL: Applications are now available for Oklahoma fifth- and eighth-grade teachers interested in receiving a fellowship to attend the 2017 Colonial Williamsburg Teacher Institute in June. The Oklahoma Foundation for Excellence coordinates the selection of Oklahoma teachers to participate in this renowned teacher institute. Ashley Weston, a fifth-grade teacher at Liberty Elementary School in Broken Arrow, pictured at right, is past participant. Applications are due Feb. 1. For an application, click here. ON THE BALL: Bal-A-Vis-X stands for balance, auditory, visual and exercises – it requires focus and demands cooperation. Teachers who have implemented the program have seen discipline issues decrease and test scores increase. To watch the video, click here. CHOOSING BLANKETS OVER TOYS: First-grader Mariah Judd of Parmelee Elementary in Putnam City was so excited she couldn’t speak. After teachers noticed the kids were asking Santa for blankets instead of toys, they rallied on social media and received almost 2,000 donated blankets. To read the story, click here. THE GOOGLE EFFECT: Pryor continues to make big news as its partnership with Google helps to bring more computers and robotics to its schools. To read all about it in the New York Times, click here. Sonic CEO Cliff Hudson, coaching legend Barry Switzer and U.S. Rep. Tom Cole.